Jumping Joeys offers fun-filled gymnastic and activity classes to assist young children in the development of Fundamental Movement Skills. These skills are the building blocks for more complex and specialised motor skills. Our classes incorporate exercises on specialised children’s gymnastic equipment, as well as floor based activities and games, under the guidance of our qualified instructors. We provide a variety of opportunities for children to practice their climbing, balancing, jumping, tumbling, hand-eye coordination and socialisation. 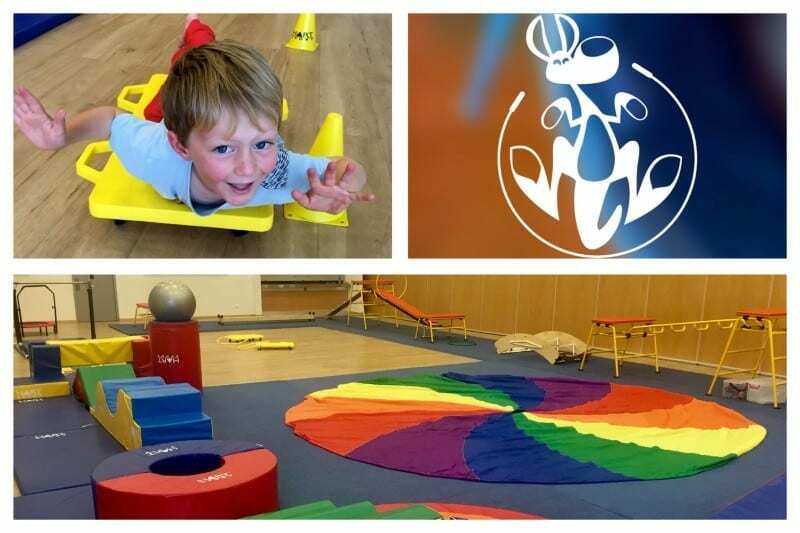 Jumping Joeys offers a fun and relaxed environment where children are encouraged to develop at their own pace. Parents/caregivers assist their children during the class, providing a fun and rewarding way to spend some quality time with your little one. We are located at the fantastic Charles Riley Community Centre in North Beach. Classes are offered for children aged 1 (walking) to 5 years. We offer casual attendance so there is no need to commit to a full term of weekly attendance. So bounce along to a Jumping Joeys class!